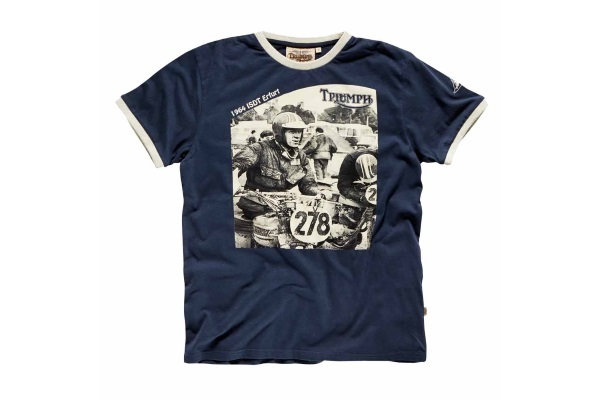 Triumph Motorcycles creates collections of t-shirts around different themes. This one is inspired by the stories of Steve McQueen's racing heritage with the brand, including his 1963 race through the Mojave Desert and his participation in the 1962 Four Aces Moose Run, where he finished third. For the McQueen collection, prices range from $32.99 to $44.99.